Lord of the Rings hero, Gandalf the Wizard, says to the evil Balrog, “you shall not pass.” The House should say the same thing to President Obama by voting to defund Obamacare. Bill O’Reilly and Karl Rove double-teamed on Fox news yesterday to continue the argument against the House of Representatives voting to defund Obamacare. If they were there at the bridge facing the evil Balrog (monster) in Lord of the Rings, no doubt their counsel would have been to back off, rather than make the heroic and dramatic stand the good wizard Gandolf did. Those who do not want to say “you shall not pass” as Gandalf did, have a simple argument they keep repeating. President Obama won’t sign any bill to defund Obamacare. The Senate will not vote to defund Obamacare. And they will – by not enacting an Obamacareless Continuing Resolution (OCR), shut down the government, blaming in on the feckless and helpless Republicans, who will then be punished severely in the next election. Therefore, the Republicans who control the House, ought not to do what they promised when they won the last election to capture the House, which is to stop Obamacare. When the Democrats say “elections have consequences” they only mean, when they win, not ever when conservatives win. Since the Democrats won’t compromise, then there is no choice but for the Republicans to compromise, by which they mean, capitulate. Do not listen to the people who elected you, they warn. Do not listen to the people who donate to your campaigns and your causes, they helpful counsel. Do not listen to the overwhelming majority of the American people who did not want Obamacare when it was passed, who spoke clearly in the first election thereafter, and who by an even larger margin do not want it today. No, they keep demanding of the GOP majority of the House of Representatives elected by conservatives, you ought to vote to fund Obamacare, or else we will brand you extremists. 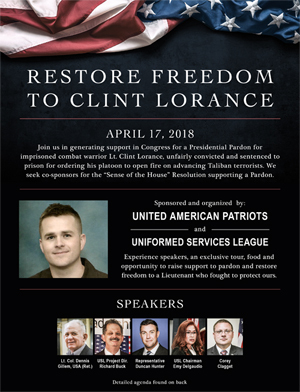 We normally do not use this space to editorialize on the issues that face the conservative movement but instead focus on the speakers and sponsor organizations which participate in the monthly Freedom Leadership Conference. But the House vote on Obamacare could be one of the most important ones for both the country, and to determine the future of the Republican Party. It is one issue which more than any other we know of, unite all of our sponsors, speakers, conference participants and subscribers. We leave to your conscience whether to vote for a Republican Congressman who follows the stupid and destructive advice of liberals who hate conservatives and are determined to take away their House Majority, and the advice of those who are simply mistaken or foolish and who urge them to “compromise” (capitulate). We recognize that many conservatives will simply never vote for a Congressman or Senator who voted any funds for Obamacare, while some would for fear of electing an even more liberal Democrat. We respect the differences we know will exist among reasonable conservatives on this question. However, we believe that a Congressman or Senator who votes to fund Obamacare forfeits any future claim for conservative support – whether it is campaign volunteer work or donation support, for any office they ever seek ever again in the future. You only have one vote in an election and you may decide to vote for a conservative challenger against a Congressman who follows Obama’s advise on Obamacare. You may vote to reelect that Congressman if he manages to win his primary. But we do not see any reason to EVER again donate or work for such a Congressman. There are a few votes which are definitive as a measure of who our conservative champions are in Congress and who are our enemies. Marco Rubio may possibly recover from his stumble of attempting to help liberals pass an amnesty for illegals. The damage done to this former hero to most conservatives could be long lasting, despite the fact that the amnesty he helped engineer passage of in the Senate, has not passed in the House. His cause is helped by the fact that it did not pass and become law, although many of his amnesty ideas are being enacted as executive fiat by the President. On the other hand, Obamacare has passed and is the law. And unless the House of Representatives we elected holds the line in the budget vote and simply refuses to fund Obamacare, then there is nothing that will stop it from becoming law. That means a hammer blow against freedom and a free economy, and it means the most massive power grab by the federal government in American history. It means the President will have kept his promise to radically transform America. And he will have done it only if the House of Representatives capitulates and follows the Bill O’Reilly and Karl Rove advice to listen to the President, Senator Harry Reid and Minority Leader Nancy Pelosi. Obamacare funding passage by the GOP House of Representatives should be the end of conservative support and help to any and all GOP Congressman who don’t hold the line and say, to echo the line of Gandalf the Wizard as he faced the evil Balrog at the dramatic confrontation on the bridge in Lord of the Rings, “you shall not pass.” Gandalf’s stand in the movie ended in his (as it turned out temporary) stunning and shocking downfall but enabled the Fellowship to escape and fight on to ultimate victory, despite the sad, short term loss of Gandalf. 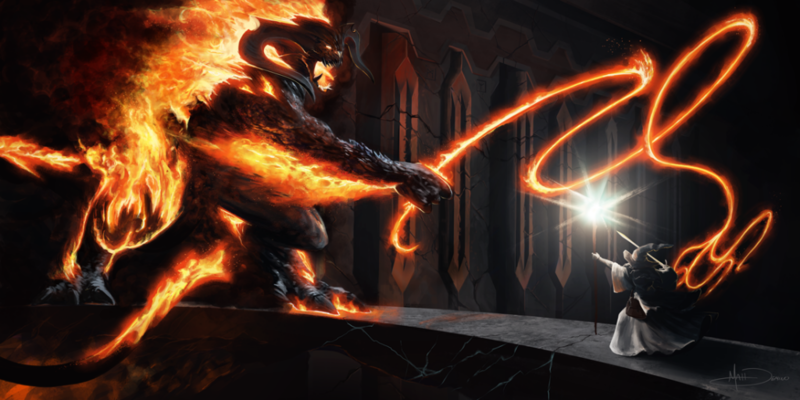 It turned out to be a pyrhic victory for the evil Balrog. The Constitution may be very frustrating to the President but it clearly gives the House of Representatives the power to NOT fund Obamacare. There’s simply nothing the President and his allies, despite the counsel of Karl Rove, Bill O’Reilly and others who hate such a confrontation are so upset about, can do to fund what the House refuses to fund. That his our system, that is the law. If the House says to the President and the Senate, “you shall not pass” and refuses to fund Obamacare, we believe that the resultant clamor and upheaval will assure their victory in the next election, contrary to what the pols and the pundits are warning them. It will assure not only their “base” continues to support them but that the American people will know who truly represents them in the nation’s capital. The Freedom Leadership Conference meets monthly in northern Virginia, sponsored by a different conservative cause organization each month. There have been over 60 sponsors over 14 years before it changed to a monthly conference in late 2012. The next conference will be sponsored by the Thomas Jefferson Institute for Public Policy to focus on specific proposals for Conservative Change, on Thursday evening, October 17, with their President, Michael Thompson, as keynote speaker at the Marriot Fair Oaks. United States Congressman Scott Perry (R-PA) is tentatively set to be the keynote speaker on Wed., November 13 sponsored by Uniformed Services League to focus on the increasing threat to U.S. servicemen and a “salute to our servicemen” rally also at the Marriott Fair Oaks to commemorate Veterans Day. He will be joined by several retired military officers as speakers. Free subscription to the conference newsletter and updates are available at FreedomLeadershipConference.org. The Conference dinner will be at the Marriott from 5 to 7 PM and is reserved for already approved members and for Provisional (new) members. The next two conferences will continue last month’s experiment of being open to anyone who wishes to attend (7 PM coffee and tea social; conference begins 7:30 PM and adjourns 9 PM) and who advance registers. The eventbrite page for this purpose will be announced shortly. If you are not a member or have not already secured a free email newsletter subscription look to the upper right corner of this website for the link to do either.